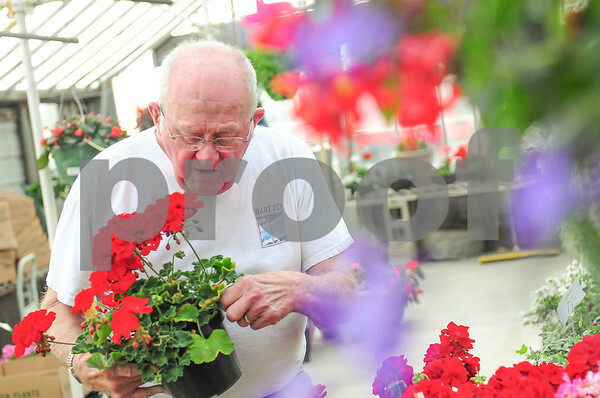 Owner Jim Kaelin, 78, picks up a potted geranium in the greenhouse at DeKalb Florist and Greenhouse on the corner of Peace and Lincoln Highway in DeKalb. Kaelin bought the business in 1965, four days before graduating Northern Illinois University. His daughter, Sally Kaelin-Mullis now manages the 110-year-old business but Kaelin still comes to work everyday.